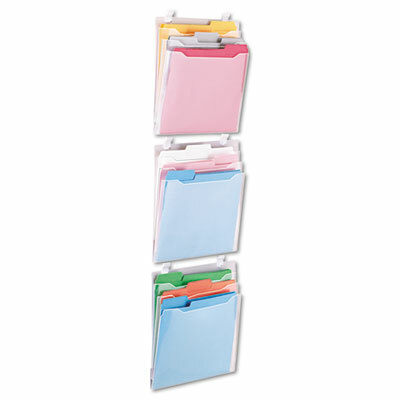 Polypropylene letter-size pockets protect and display file folders and documents. Simply hook into partition fabric (hooks included). Transport entire organizer wherever needed. Sturdy polypropylene construction protects file folders and documents. Transparent design offers at-a-glance identification of contents. Simple mounting makes it easy to transport the entire organizer wherever it's needed, then simply hook into partition fabric (hooks included).